A development-approved site in Sydney’s Miranda has been announced to the market with expectations of it selling for a price above $12 million. Located at 1-3 University Road, 668A, 668 and 670 Kingsway, Miranda, the property has a gross floor area of 5,744 sqm. 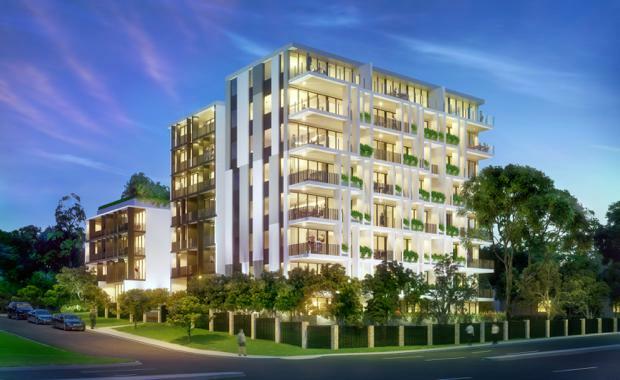 This north-facing site of 2,872 sqm is DA-approved for 66 residential apartments, including large town-home-style ground-floor apartments with garden terraces and upper floors enjoying expansive panoramic view towards Cronulla and Sydney’s North. The apartment mix is approved for 27 per cent one-bedroom apartments, 71 per cent of two-bedroom apartments and 2 per cent three-bedroom apartments. Knight Frank’s Dominic Ong, Tim Holtsbaum, Andy Hu and Adam Bodon are exclusively managing the sale on behalf of a private family. Knight Frank’s Head of Asian Markets, Dominic Ong, said this is likely to attract locally-based Asian developers. “We expect this premium, DA-approved site to appeal not only to a traditionally locally-dominated market, but also to attract the attention of astute developers in the wider Sydney market looking to capitalise on a core development opportunity with strong fundamentals. “The site is located close to Westfield Miranda, which recently underwent a $475 million redevelopment, and features large-scale retailers including Apple, Uniqlo, David Jones and Myer. It is opposite Port Hacking High School and just 800 metres to the Miranda railway station, which has a direct train line to Cronulla Beach and the Sydney CBD,” said Mr Ong. According to Knight Frank’s Director, Residential Site Sales, NSW Tim Holtsbaum, this is a sought-after location which will appeal to local developers and investors as well as local Asian investors. “Miranda and the Sutherland-Shire area is a well-established owner-occupier market. The residential apartments will appeal to a broad range of local investors, including families and those seeking to downsize to large, two-bedroom apartment – a continuing trend. “Miranda is located within close proximity to many premium schools, a major shopping centre and transport lines directly into the CBD and other parts of Sydney. “This is a rare opportunity to acquire a DA-approved site within such close proximity to infrastructure – there aren’t many opportunities such as this to buy in the area. A developer could be in the market selling the units fairly quickly, given the existing approvals. “There’s also a marketing suite onsite that can be utilised by an incoming developer to sell the units, which will be useful during the residential sales process,” said Mr Holtsbaum.